About Us – W.E.S.T. Trade S.A. The name of our company tells a lot about what we are doing. Those four words show the range of activities we provide. The four elements as much as they are different one from another at the same time strictly connected one with another. W.E.S.T. 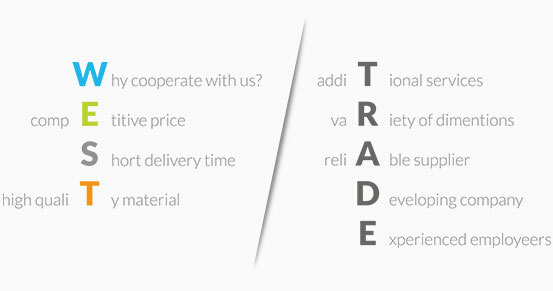 Trade S.A. is a supplier of steel goods mainly to shipbuilding and mining industry. Our company supplies high quality steel products. 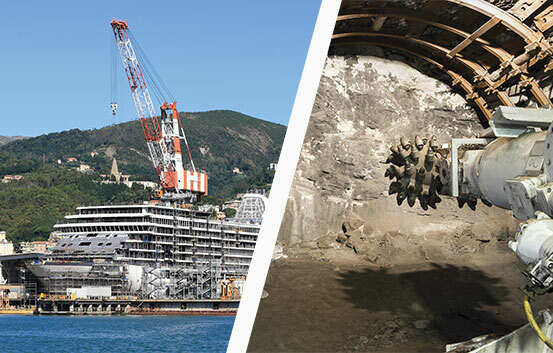 All our materials are certified and comply with the relevant standards in the shipbuilding and mining industries. We focus in particular on the supply of niche materials of the entire group of steel products. This strategy makes that we constantly improve our skills and we can offer our services to the group of the most demanding customers. Our employees always professionally fulfill their commitments to our customers and make every effort to fulfill the standards recognized worldwide. 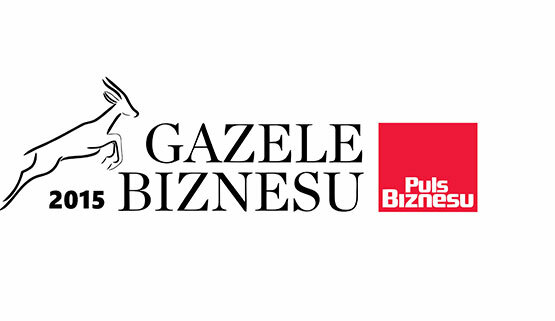 Our company has received the award – Gazela Biznesu 2015. The competition is organized by the editors of Puls Biznesu magazine in cooperation with Coface Poland that is responsible for verifying the financial data reported enterprises. To receive the award it is needed not only financial performance and the dynamics of development but also the reliability of the company. W.E.S.T. Trade S.A. is a patron of the idea of physical culture and the promotion of sport among children and adolescents. According to the concept of Corporate Social Responsibility, the company has engaged in activities aimed at the Katowice community by cooperating with the GKS. For the season 2017/2018 W.E.S.T. Trade S.A. became the main sponsor of the “Young GieKSa” football academy. In the 2016/2017 season, the company became the gold sponsor of the Polish Ski Association. We are pleased to announce that 25th of September 2017 – W.E.S.T. Trade S.A. – received the certificate ISO 9001: 2015 issued by Lloyd’s Register. The Quality Managment System is applicable to: Trade and transportation services of steel products (especially for shipbuilding and offshore industry). We hope that continuous improvement of our company and maintaining the highest standards of services will positively influence our further cooperation. Don't hesitate - contact us now!